Part of my project with the Ecologist at Bedfont Lakes is to investigate whether these tiny mammals are present along the river banks of some of Hounslow Boroughs nature reserves. This involved setting small mammal bait traps along the River Crane. 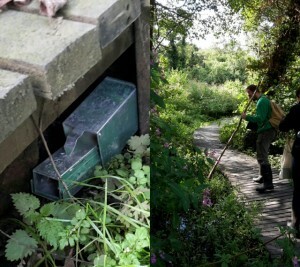 The traps are essentially cuboidal steel boxes stuffed with meal worms and dead leaves, which have spring loaded doors that close when the shrew brushes a trip wire on its way into the trap (they are completely humane and do not harm the shrew in any way). These are then left in sheltered areas or underneath plants overnight and checked first thing the next day to see if anything has been caught. 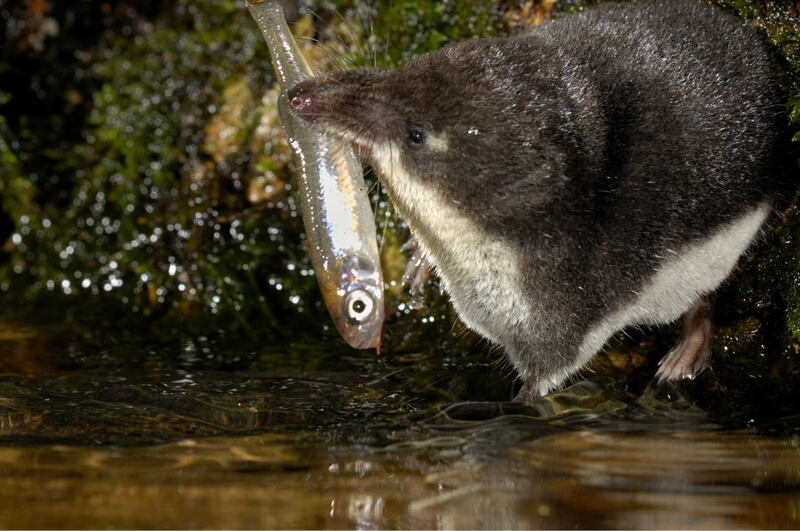 It was predicted that water shrews would be absent from the area, due to overly dense vegetation and a pollution event that occurred in 2013, and so far we have found this to be true. The exciting thing about this though is that if this continues to be the case upon further surveying, then we can definitively say that they are absent and look into introducing a number of water shrews to the area in the hope that they will start a local population. As a Zoology student, I have studied many Ecology modules and it has been fantastic to see Ecology in practise and get away from the realm of theory and textbooks. There are so many practical applications of Zoology and Ecology that lecturers are unable to expose us to in the limited time they have for teaching, so I have really enjoyed being involved in this long process of species introduction. Knowing how to successfully introduce species to either new areas or areas where they have become extinct could become so important in the near future considering the rapid rate at which so many ecosystems are being degraded. The good thing however, is that we (humans!) are getting better and better at habitat restoration and noticing warning signs for when a species population may be in decline, and only through this small scale trial and error experience, such as this example with water shrews, will we really be able learn ways in which we can remedy any damage we have made and live in harmony with nature.